We will be hosting the first ever Draft Meetup in San Diego on Thursday, September 27, 2018 at the Blind Lady Ale House. Joining us will be four amazing speakers who will discuss bicycling and how it has impacted their lives. These speakers are: Jeff Motch, a business owner and entrepreneur, Katie Crist, UCSD researcher and avid cyclist, Andy Hanshaw, Executive Director of the San Diego County Bicycle Coalition, and Angela Ledyard, a personal fitness trainer and member of Black Girls Do Bikes. 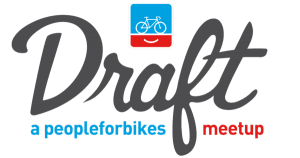 Draft is a nationwide meet up series event hosted by People for Bikes. 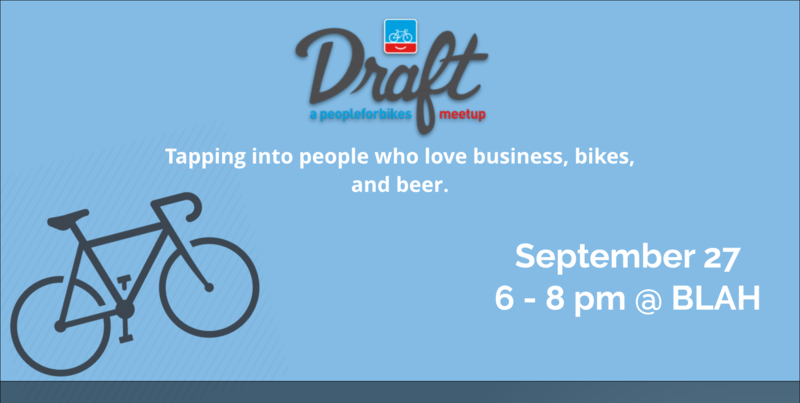 The draft meet-up taps into people who love business, bikes, and beer. This event brings communities together to celebrate the latest bicycle industry innovations and people. It allows conversations, announcements and speeches from business leaders, product developers, tech innovators, advocates, artists and more to share ideas and enjoy a craft beer. Who are People for Bikes? People for Bikes includes both an industry coalition of bicycling suppliers and retailers, as well as a charitable foundation. They have been active since 1999 using data such as the American Community Survey and Census Data to rate bicycling in cities nationwide and providing resources for anyone interested in using their bike. According to their study, San Diego is voted #9 in the nation and #5 in the largest cities to ride a bike. With that we are hosting our first Draft Meetup at the Blind Lady Ale House in Normal Heights. We look forward to mingling with you there and sharing the latest and greatest in the bicycling industry!